But at the center of the story of how Kellogg’s got started, and eventually became a hugely successful international company, there’s a bitter family feud between the two Kellogg brothers, whose business began with support from the Seventh-Day Adventist church, and had a focus on developing a healthy and holy lifestyle, including sexual abstinence. 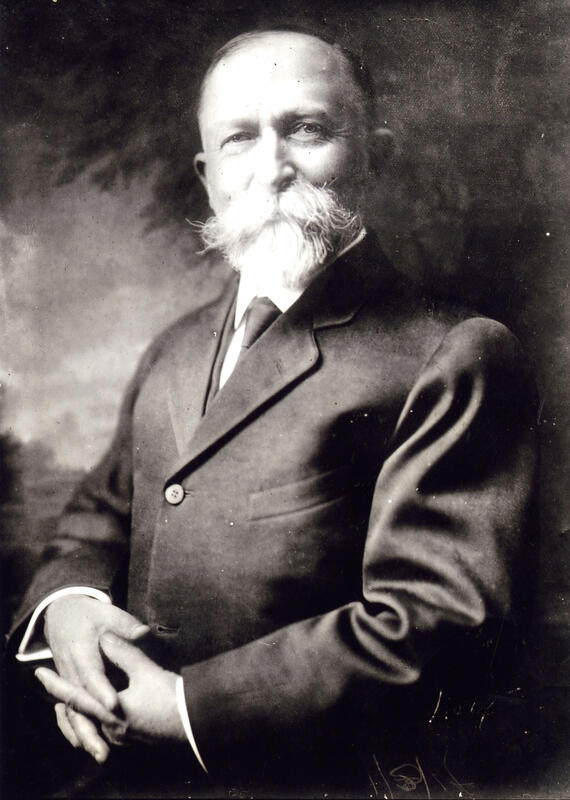 Dr. John Harvey Kellogg and his younger brother Will Keith Kellogg were both from Battle Creek, Michigan. In his book, The Kelloggs: The Battling Brothers of Battle Creek, U of M medical historian Dr. Howard Markel tells that story. Before the Kelloggs revolutionized breakfast, Markel says the American diet was terrible compared to today’s standards. The two brothers had a rough relationship. Dr. John Harvey Kellogg often overshadowed his younger brother Will Keith Kellogg. John Harvey was the medical director of the Battle Creek Sanitarium. The brothers worked to develop the recipe for what would eventually become known as cornflakes. The younger Will Keith Kellogg was seen as “dim-witted” Markel says, though he displayed strong business acumen. Eventually, Will Keith Kellogg broke off from doing business with his brother, and started the company that became Kelloggs. He perfected the recipe he'd started with his brother, and Corn Flakes became a national sensation. Markel says Will Keith Kellogg surrounded himself with talented advertising professionals, and poured resources into advertising, which eventually helped him earn the rights to the Kellogg name after John Harvey attempted to start a cereal company of his own, bearing the same family name. Eventually, Markel says the dispute ended up in front of the Michigan Supreme Court. Listen to Stateside’s entire conversation with Howard Markel, University of Michigan medical historian and author of the book The Kelloggs: The Battling Brothers of Battle Creek, above. Stateside originally broadcast this story on Sept. 7, 2017. Kellogg wants to make its West Michigan plant more sustainable, but that could mean more than 200 employees will be laid off. The cereal company released a statement saying its effort to be more efficient is a part of its national initiative to better meet production needs. LOS ANGELES - Breitbart is encouraging a boycott of Kellogg's products after the cereal maker said it would no longer advertise on the news and opinion website, formerly run by President-elect Donald Trump aide Steve Bannon. 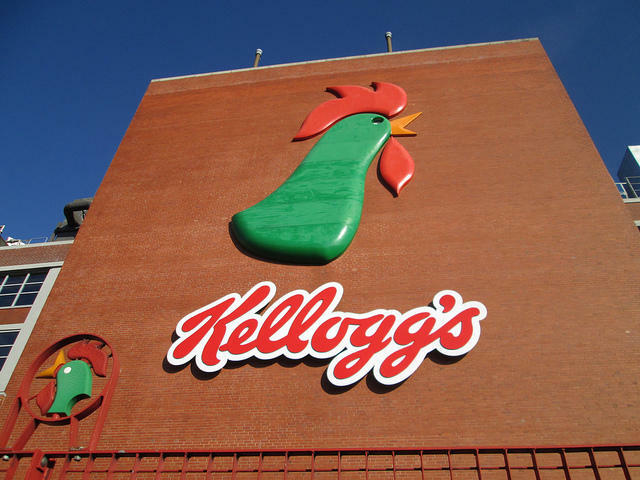 The Kellogg Company cited company "values" in explaining its decision; a spokeswoman said Thursday it has "nothing to do with politics." Kellogg's of Battle Creek is taking cereal in a different direction. A really different direction. 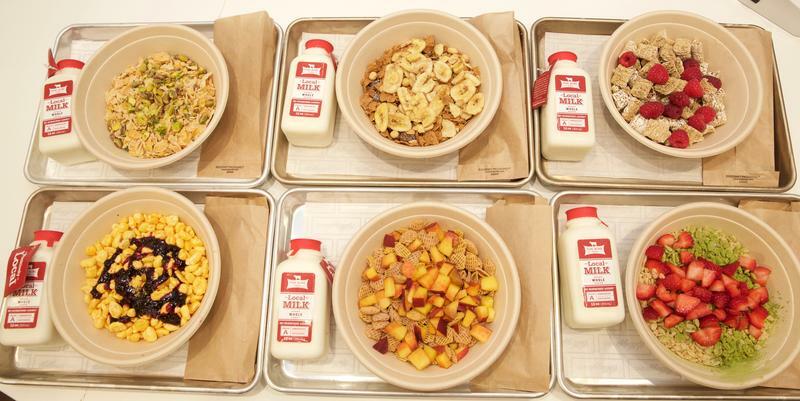 The company has opened a cereal cafe in Times Square, where for $6.50 (small) or $7.50 (large) you can order cereal from a menu that includes "Lemon Pistachio." That's a combination of Special K and Frosted Flakes, with pistachios and lemon zest and fresh thyme leaves on top. With locally sourced fresh milk on the side, of course. Lobbyists aren't the most well liked people, but George Franklin, attorney and former lobbyist who became the Vice President of World Wide Government Relations for the Kellogg Company, would like to change your perception of them. Franklin is currently the head of Franklin Public Affairs in Kalamazoo and recently wrote a memoir about his time in Washington entitled "Raisin Bran and Other Cereals: 30 Years of Lobbying for the Most Famous Tiger in the World."